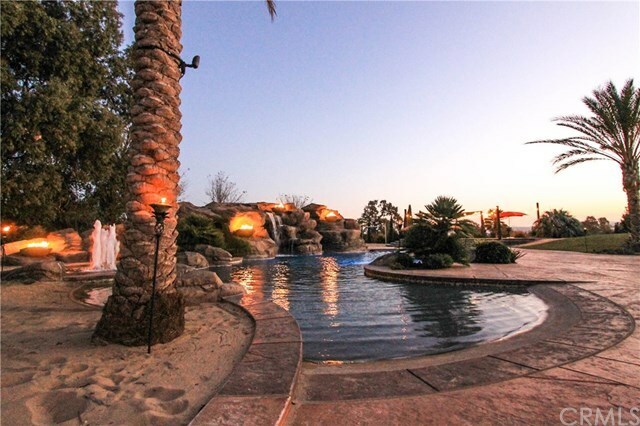 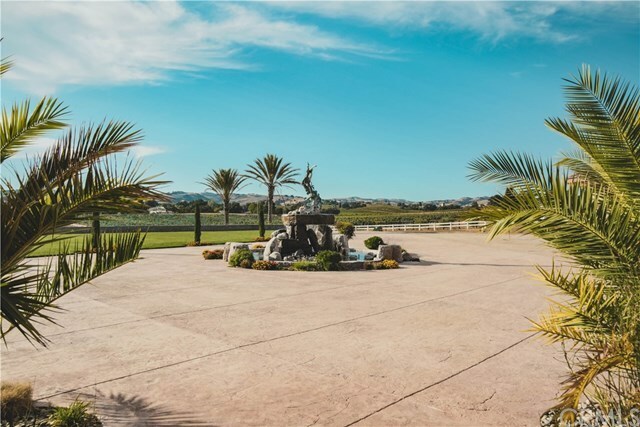 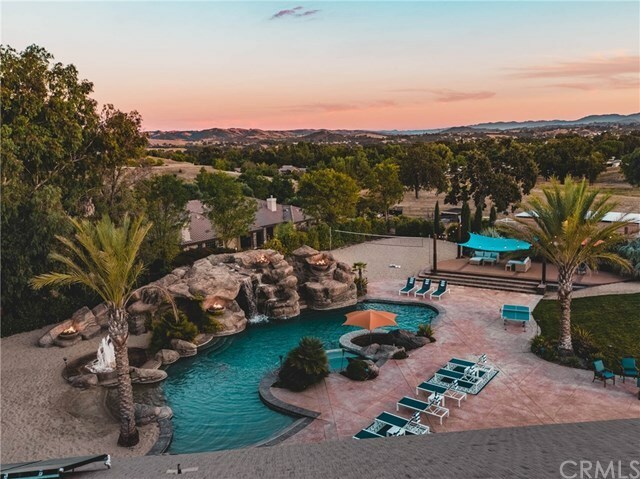 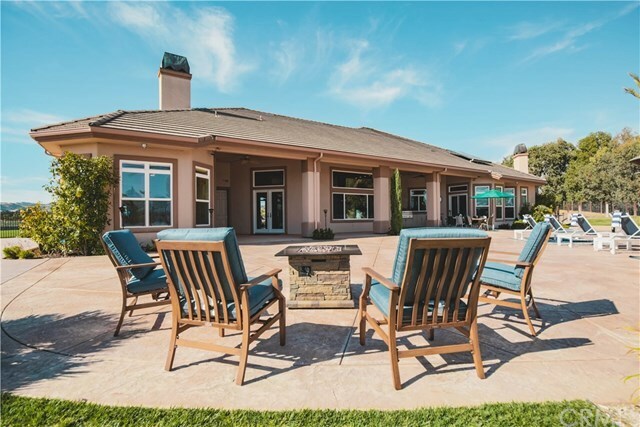 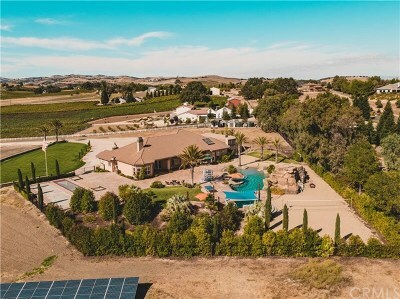 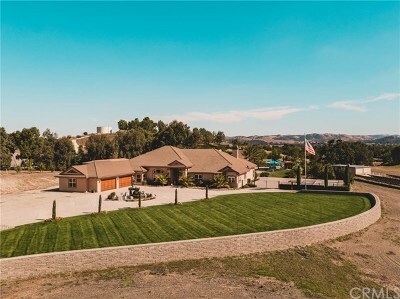 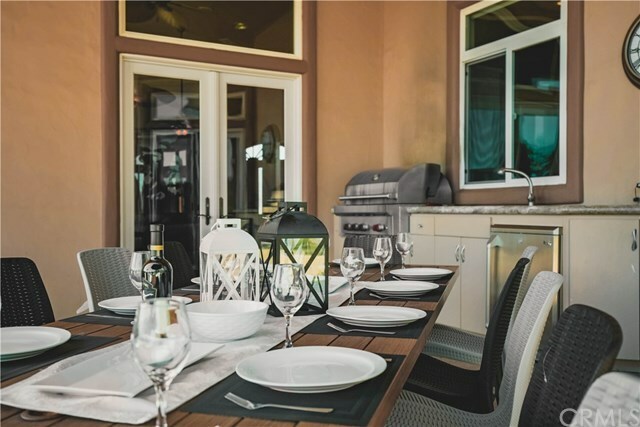 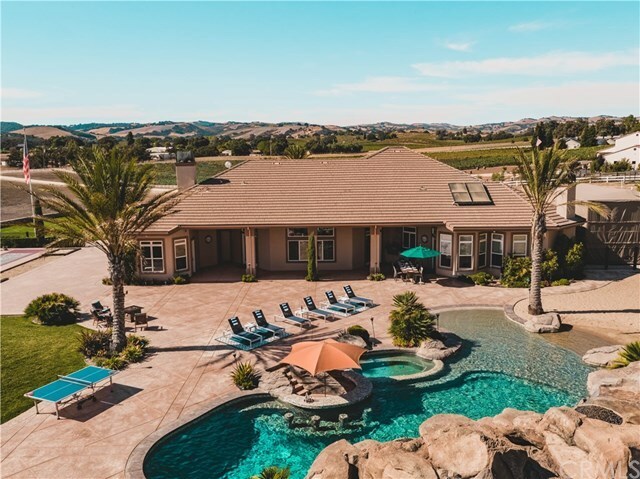 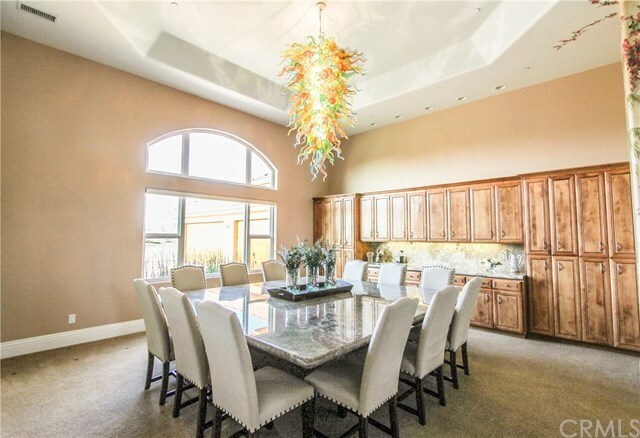 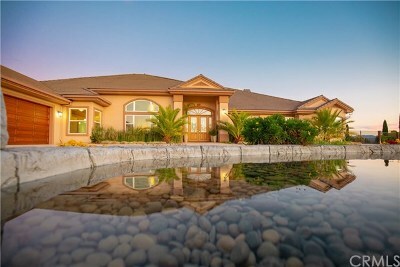 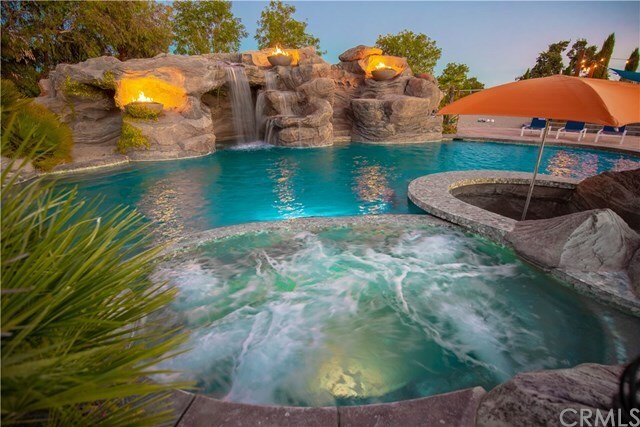 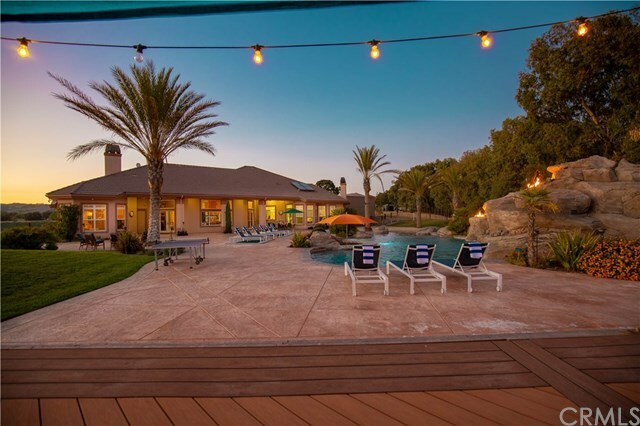 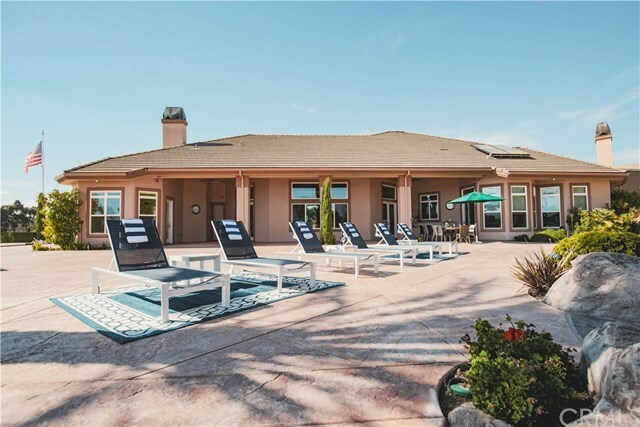 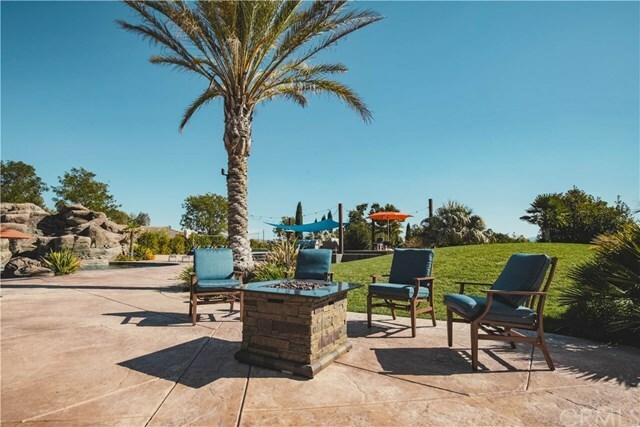 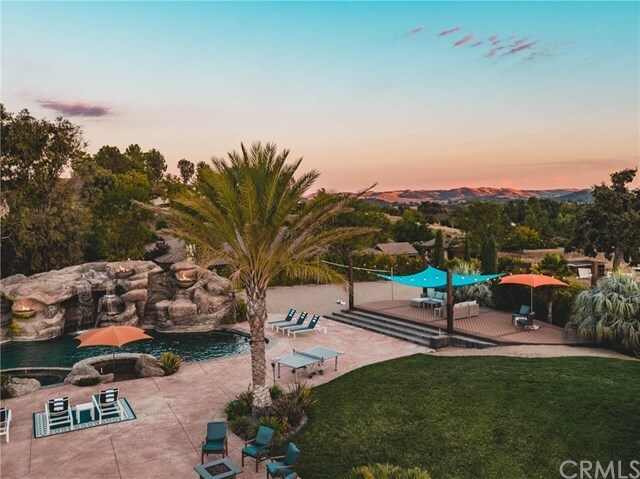 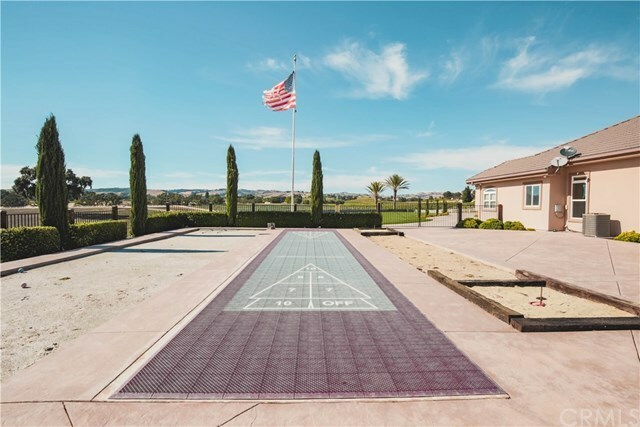 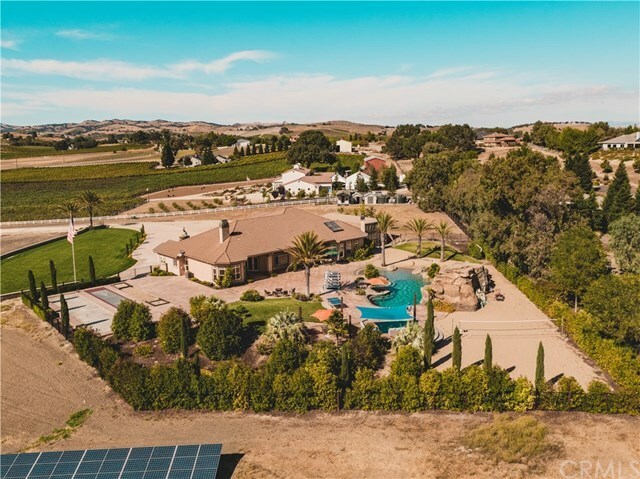 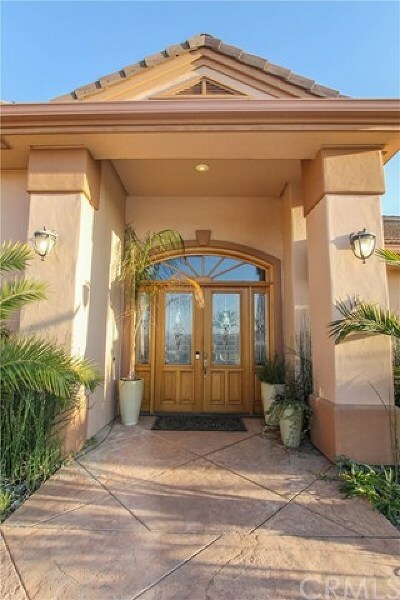 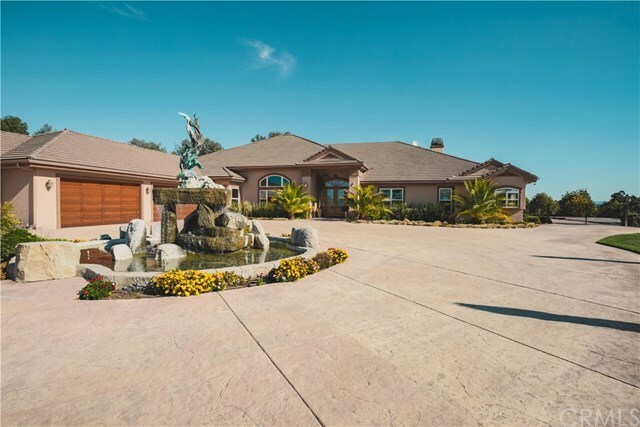 This stunning west side Paso Robles wine country estate is one of the most impressive properties in the area. 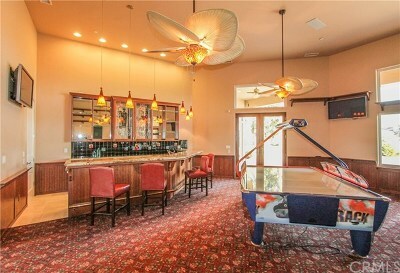 An entertainer's dream, the sprawling 5339 square foot, 4 bedroom, 4 bathroom home features 14-17 foot ceilings, radiant heated tile floors, huge game room with wet bar, ultra gourmet kitchen with two Fisher Paykel dishwashers, Sub Zero refrigerator, double oven, 6 burner cook top, walk in pantry, granite counters, large center island including a prep sink and beverage trough. 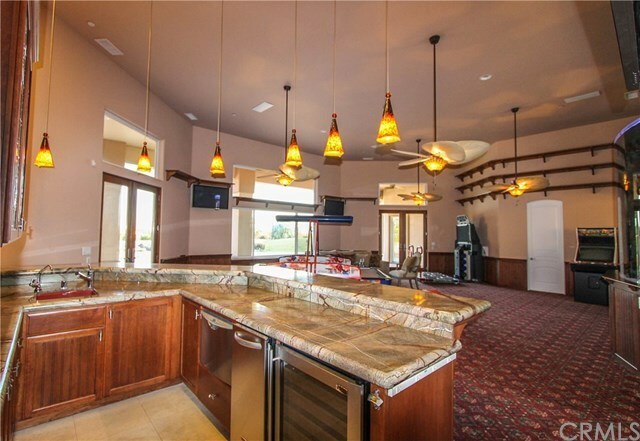 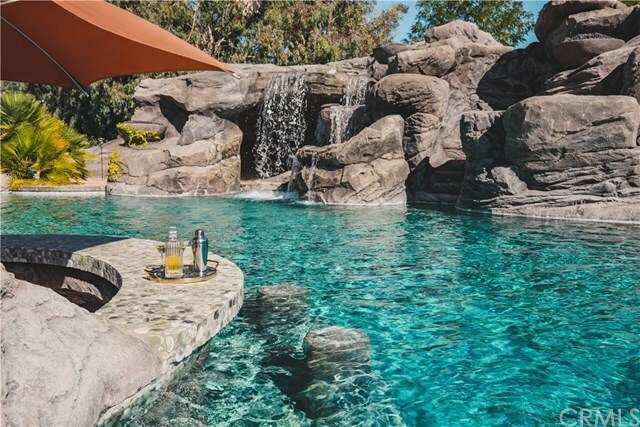 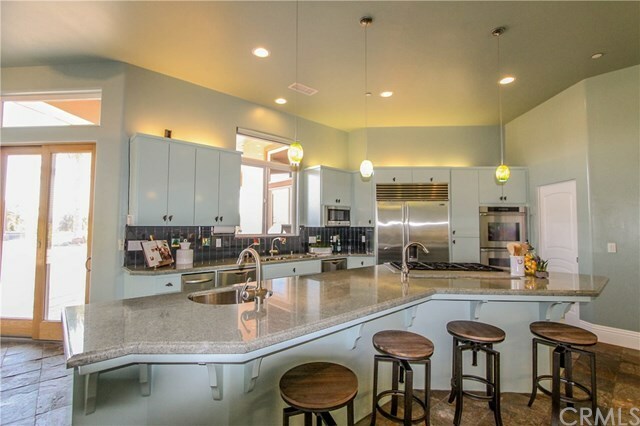 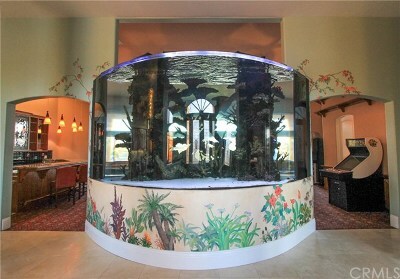 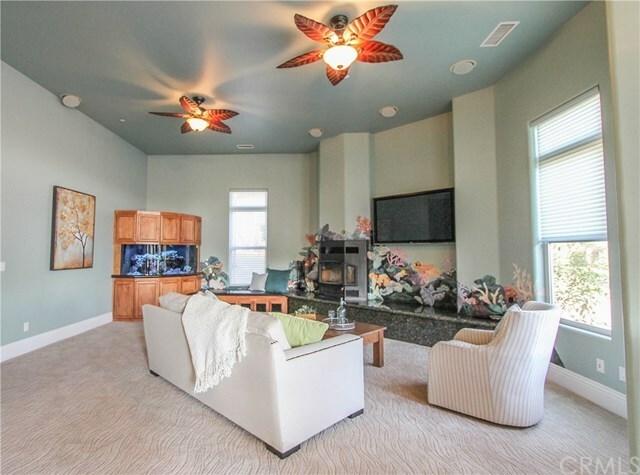 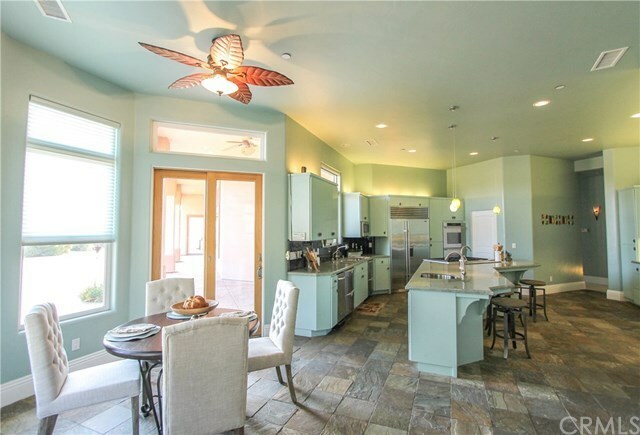 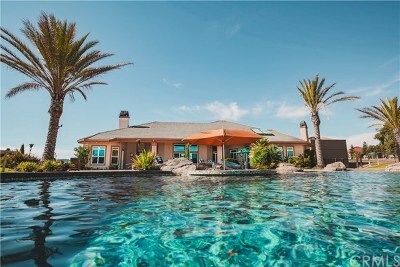 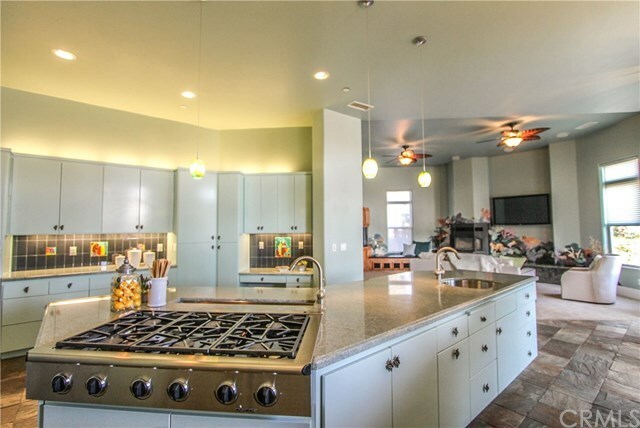 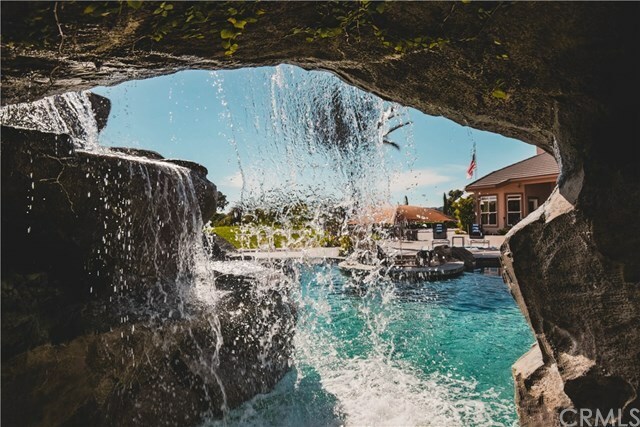 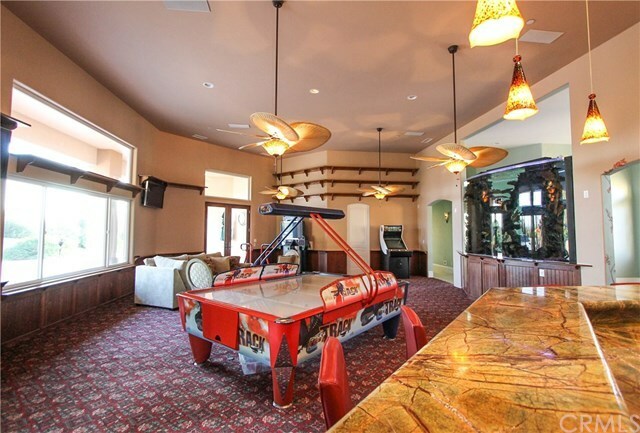 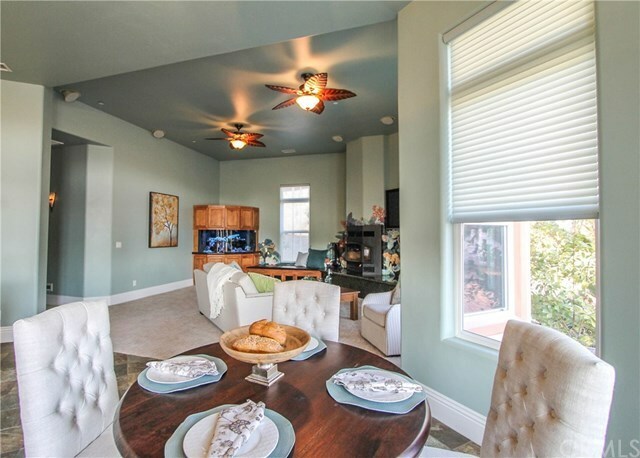 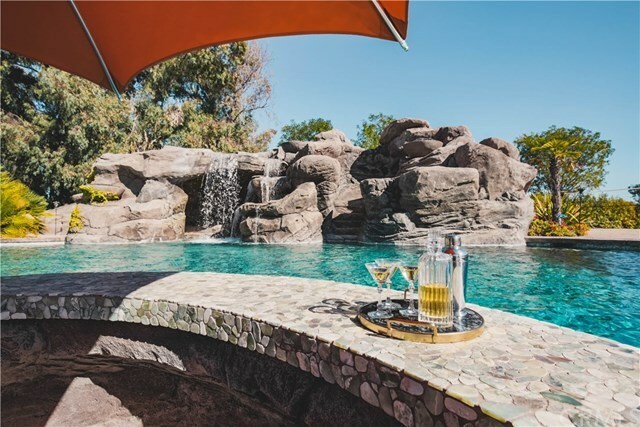 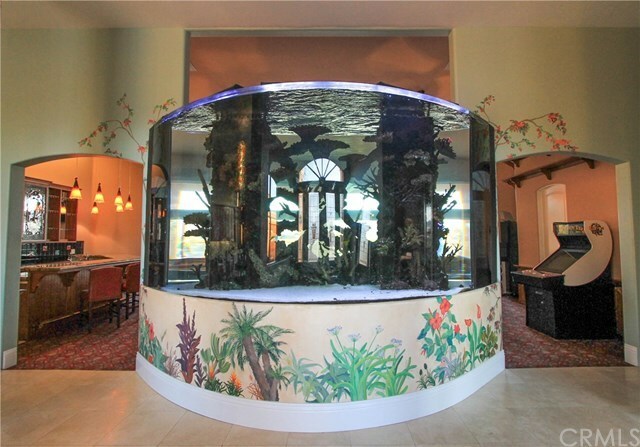 In the center of the home is a huge game room with a wet bar and an breathtaking 3000 gallon salt water fish tank that was designed and built by the guys of the reality show "Tanked". 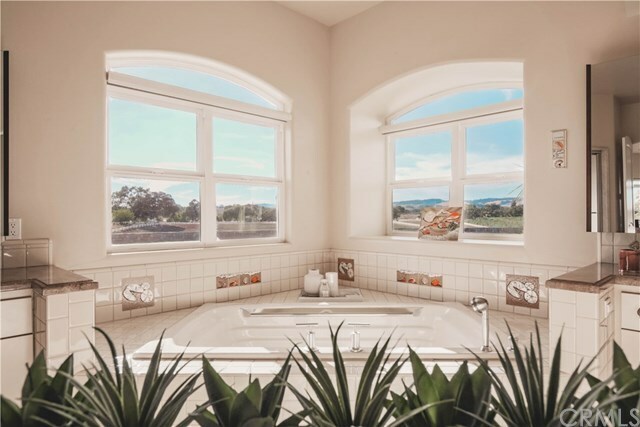 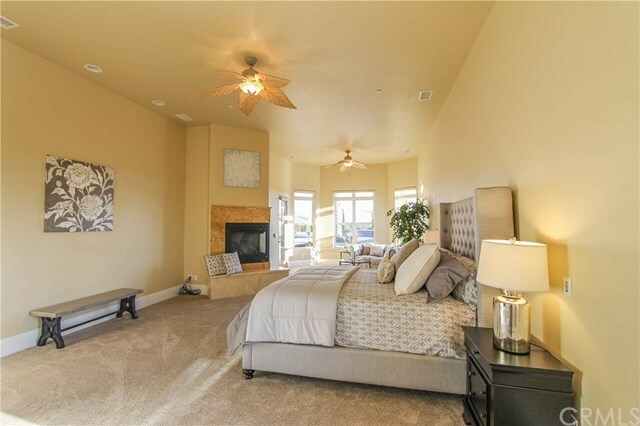 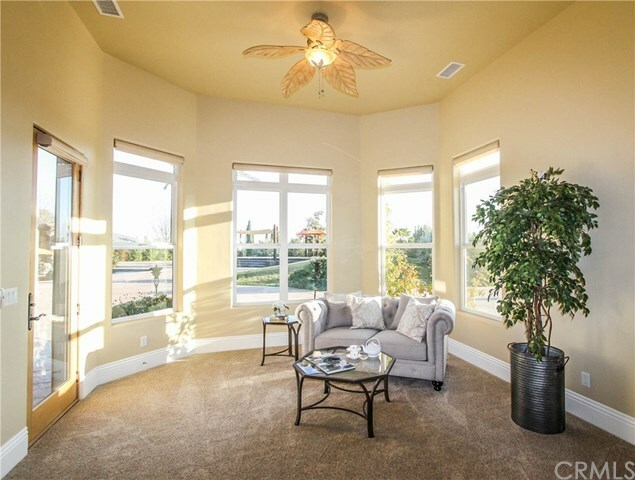 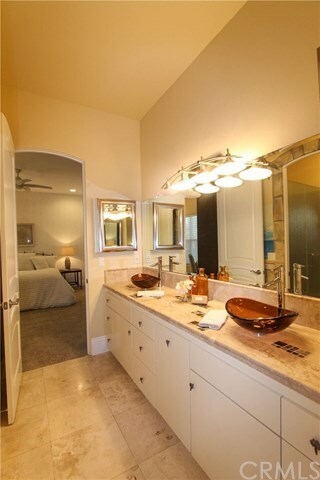 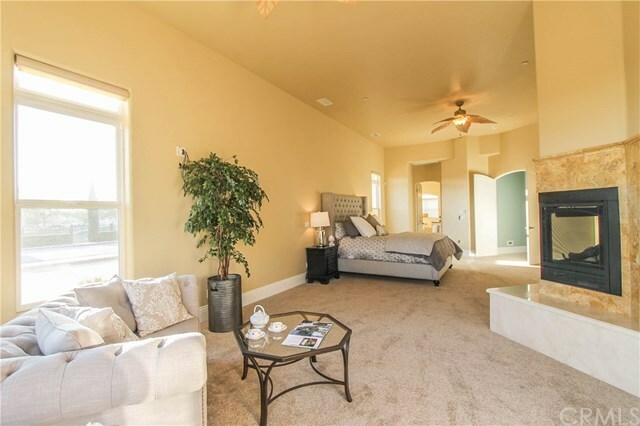 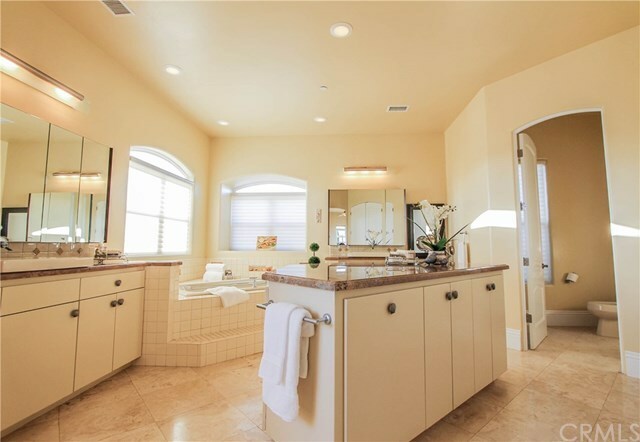 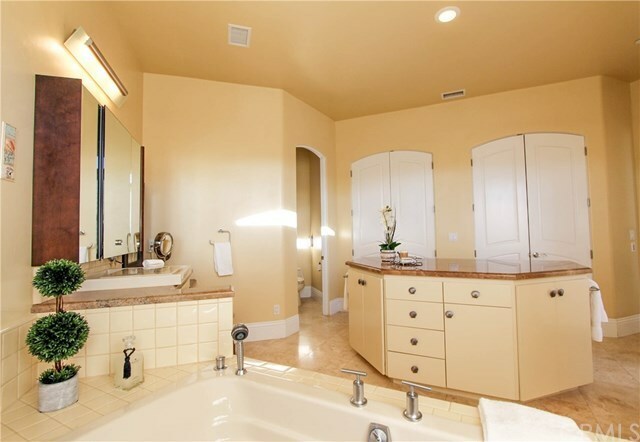 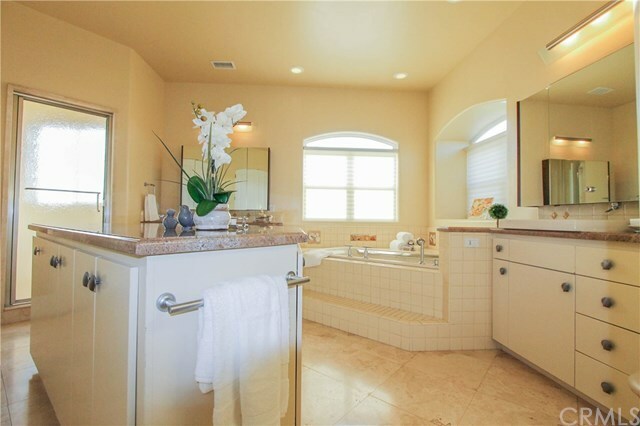 The huge master suite is located in the west wing and offers a gas fireplace, new carpeting and an incredible spa bathroom with granite topped counters, linen island, his and hers walk in closets and jetted soaking tub. 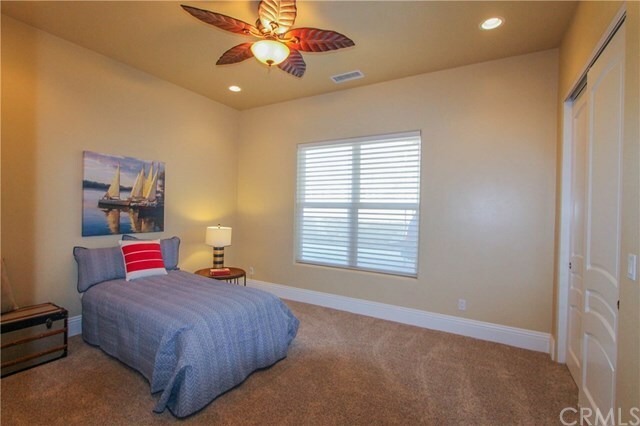 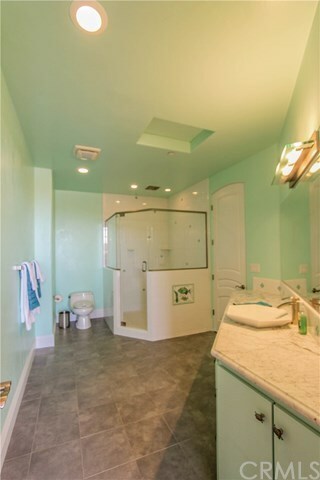 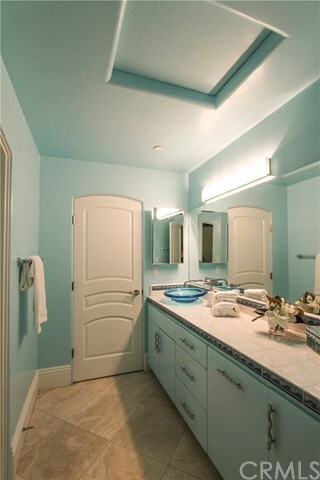 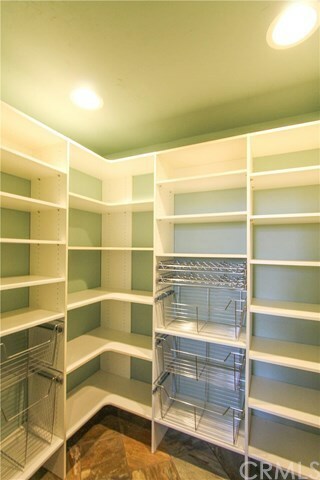 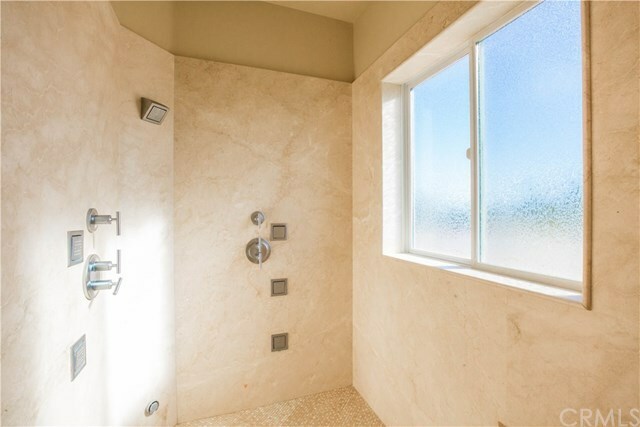 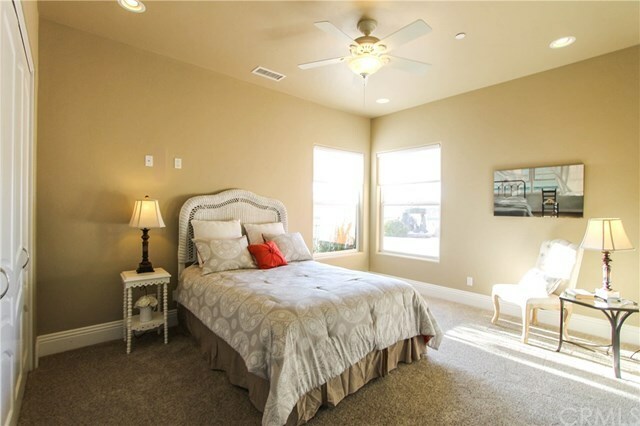 Three additional bedrooms at the east end of the home are very spacious, one has an en suite bathroom and the other two are joined by a Jack and Jill bath, both with beautiful custom finishes. 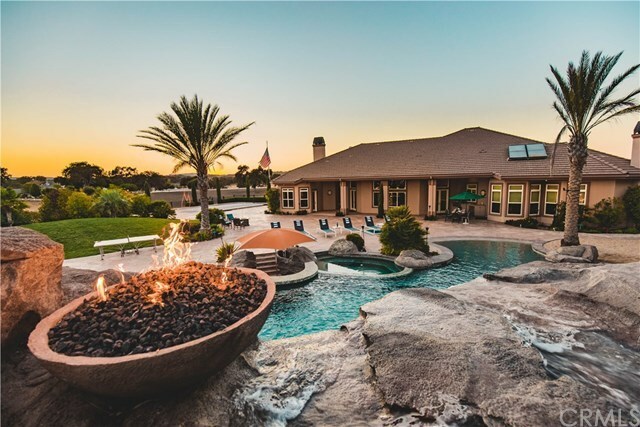 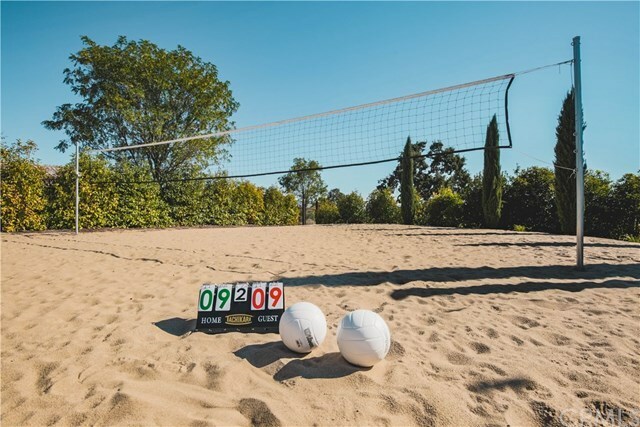 Remove yourself from reality and step out into the incredible back yard where you'll enjoy a 10 foot deep Pebble Tec pool, rock waterfall, fountain, grotto, swim up bar, white sand beach and volley ball court, towering palms, expansive stamped concrete patio, Trex deck, outdoor kitchen, horse shoes, shuffleboard and bocce ball court. 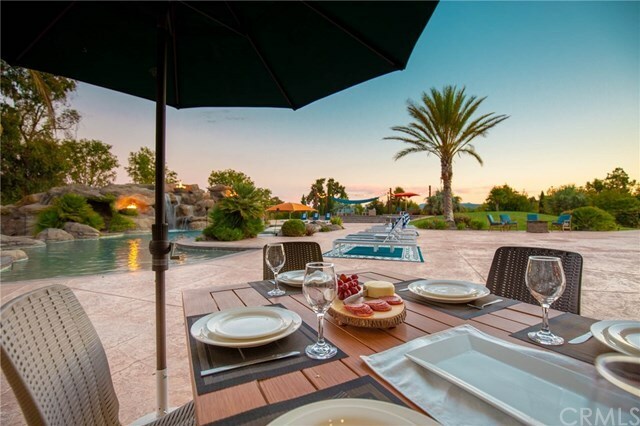 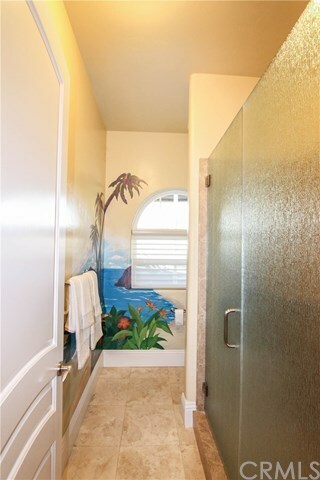 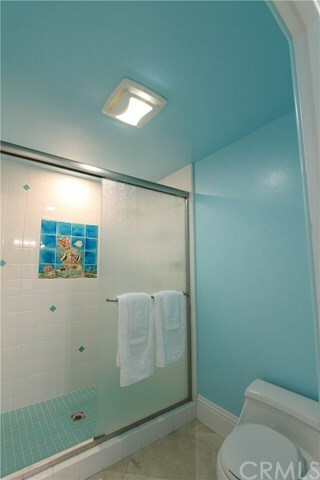 This property is truly your own private resort.